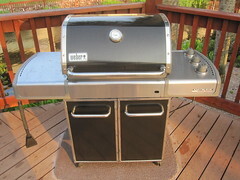 Considering all options, I think I will respond to my grill, at least it won’t turn me down when I turn it up. Who will you email this week? This entry was posted in general and tagged avoidance, blogging, connections, creative writing, email, Environmental justice, humor, inanimate objects, list making, lists, permaculture, Travel and Tourism, Travel website, weber genesis, weber grill, work avoidance technique. Bookmark the permalink. lets see – I have heard from bill collectors reminding me of money owed, political “sharks” attempting to sway my vote, used auto dealers – even though I am not looking for a car, travel agents showing me trips I can’t afford and a company selling pills to remove belly fat – which I should use but don’t! Thankfully I get an occassional interesting email like your awesome blog Sally!!! Thanks, JoJo! I would save up for that trip you can’t afford. Let’s not afford it together!